Birmingham Tree Service disposes of stumps in a few manners: grinding and physical removal making through the use of backhoe equipment. In grinding, we utilize a stump grinder to grind the stump below the surface of the soil - getting rid of its appearance totally and completely. In stump removal, we make use of a medium sized backhoe machine to dig the stump literally out of the ground. More often than not, only commercial projects where the stump will hinder with some facet of construction or development, do clients tend to decide to have stumps physically extracted. Removing a stump is more costly and results in harm to the surrounding area. Stump grinding is the typical way 99 percent of our homeowner clients go when they choose to remove a tree stump. 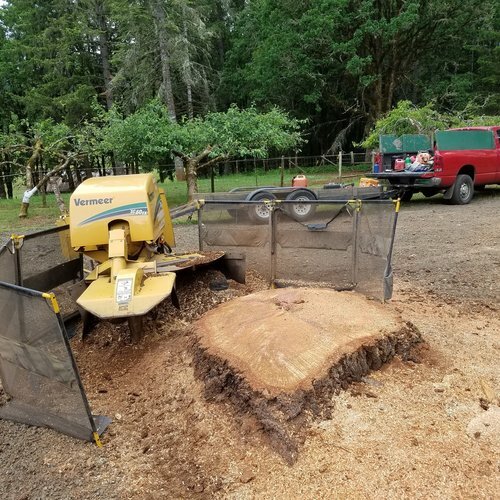 In these instances, we make use of one of our Vermeer or Morbark stump grinders to chew away at the stump until it is 7 to 11 inches beneath the ground - low enough to allow grass and/or other plantings to grow above it. Each and every stump can differ with regard to its resistance to the grinding process. This is due to the fact that different tree varieties and also the age of the stump itself determine how difficult a tree stump will be to ground. A new hardwood stump, like Cherry's and Walnut's, are some of the most difficult and hardest to grind. Conifers, for instance, Spruces and Hemlocks, are the fastest stumps to grind. The age of the stump may likewise determine the degree of difficulty as new stumps are more resistant to grinding vs older ones. The absolute size of the stump will also be a variable to how difficult it is to grind down. 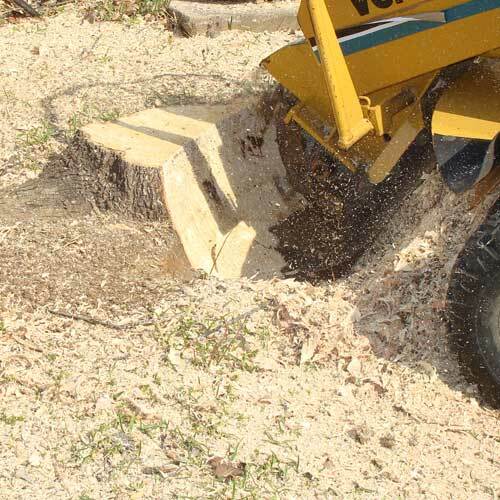 However, irrespective of the variety and age of the stump, Birmingham Tree Service can clear away any type of stump with our high-grade stump grinding equipment. We will clean up the area of debris and wood chips, which in turn can additionally be utilized as mulch, compost, or a multitude of other landscape purposes. We can certainly haul the wood chips away if you have no use for them. Our stump grinding procedure takes from between forty and ninety minutes, dependent on the nature of the stump in terms of age, variety, and size. Stump grinding is usually dirty, however, Birmingham Tree Service goes the extra distance in taking measures to limit the mess. When we finish and leave your property, the stump will be gone and the area clean of any debris less some wood chips, if you desire. Stump grinding pricing ranges from as little as $50 for the smallest stumps to around $500 for the largest. Stump grinding pricing is largely based on the size of the stump, but age, species of tree, and location can be minor variables in pricing. 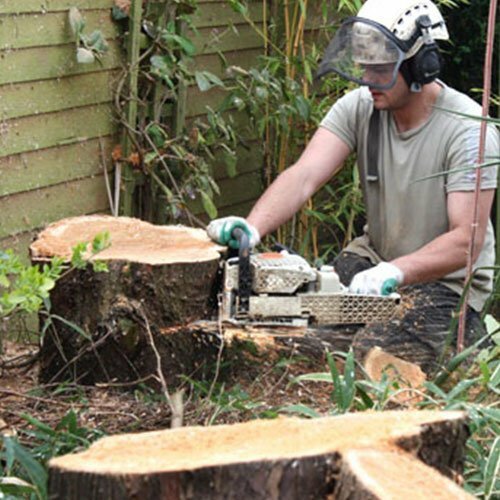 Call the tree service Birmingham trusts to affordably remove their tree stumps - we offer fast, free estimates.